In 2008 when Rock on released it made buzz for every good reason. Great screenplay, Great cast and most importantly one hell of music album. Shankar-Eshan-Loy didn’t pitch a single note incorrectly and with Farhan Akhtar, the singer, the discovery of the first Rock On's soundtrack. 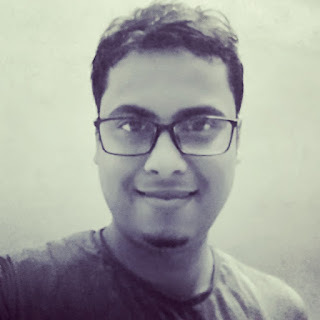 The teaser trailer of Rock On was released roughly 2 weeks back and it got many exited. Though many were looking forward to the many, I was looking forward for the music much more than anything. 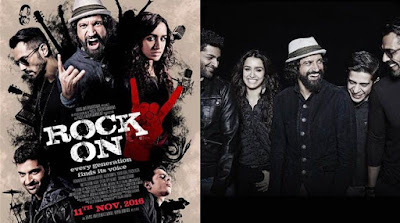 With Rock On already raising the par so high nothing less was expected from Rock On 2 album. The full Rock On 2 album was released today with ‘Jaago’ one of the track from the album already released 5 days back. So how good is the album? Does it make the cut or float away across the universe resting in the darkness along with the other numbers. Here's a song-by-song music review of Rock On 2's soundtrack which was released today (September 21) . For all your question to be answer, Let the music play. Udja Re is electronic rock which is a reminiscent of some U2 style melody along with 90’s electronic and trip hop bands. Shankar Mahadevan's voice, albeit filtered, only adds to the awesomeness of the song. Shraddha kapoor nails this one down. You know what I mean is nothing like a perfect sequel to Socha hai and Pichle saat dinon mein. Farhan’s gruffy vocals is just manageable with nothing new to offer. With great lyrics, whistling and serene acoustic guitar in the background Manzar Naya is a breezy folksy tune. Farhan Akhtar did a decent job but only one can wonder what would singer like KK have done to this wonderful composition. Tere Mere Dil, another solo song from Shraddha, after Udja Re, again falls under the electronic rock category. Very pop in its aesthetic, with Shraddha’s vocals along and the vibrant musicscape,Tere Mere Dil is a breath of fresh air. A power ballad, Woh Jahaan is a very interesting song. The sarod is a great addition to the song. Farhan's voice is a great complement to Shraddha's in Woh Jahaan and perhaps, this is the one time, Farhan's voice does not take over the song. The composition is so superlative that Farhan and Shraddha's vocals, along with the instrumentation and the arrangements, are subservient to the song as a whole. A great guitar solo makes an appearance and it’s treat . What a lovely number! Partly in Khasi, partly in Hindi, this song is all energy. How Kiw/Chalo Chalo, a motivational number, starts off as a folk song and soon segues into rock territory. Summersault vocalist Kit Shangpliang along with Pynsuklin Syiemiong sing in Khasi while Usha sings in Hindi, and the trio form a great team. This one has repeat value, ladies and gents. Ishq mastana is Mirzya-style, with a hypnotic Ahir Bhairav’ish tune that Shankar and Digvijay Singh Pariyar handle brilliantly.Meant for background score, the song is the closest thing to a 'Bollywood' song which is another way to say this cannot be called a rock song. Complete with dhol, tabla, guitar and drums, Ishq Mastana is a song some would called desi rock, the kind that happens in Coke Studio. Nothing spectacular in itself, Ishq Mastana will purely perform a functionary role in the film. Though Sharadha Kapoor had some small stint in singing with Ek Villian and Baaghi but with Rock On 2 the girl is going to bowl everyone over. Melodious composition of Javed Shaheb’s beautiful word by the trio. With Farhan Akthar being the weak link the whole album can be summed up as average.